The ads.txt specification was developed in the spring of 2017, covering desktop and mobile web inventory. ads.txt is not bulletproof against ad fraud. Human errors like misspelling supply-side platform names in ads.txt files have wrongly penalized exchanges from having their inventory being picked up. Plus, most ads.txt files don’t specify the type of inventory — display, video or native — a vendor is allowed to sell. That means display inventory can still be repackaged as video, for example, to boost CPM. If you want to go much deeper about the ads.txt and ads.cert. Please read it here. 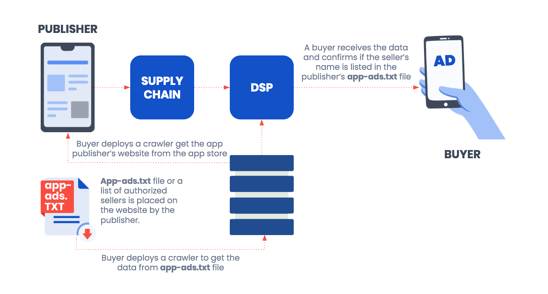 ● App developers provide a website URL in their app’s store metadata and publish an appads.txt file on that website that lists authorized sellers of their app’s ad inventory. enforcement of authorized seller status. listing page for the app so that it can be crawled and parsed as structured data. App developers must follow these steps to adopt app-ads.txt for their apps. 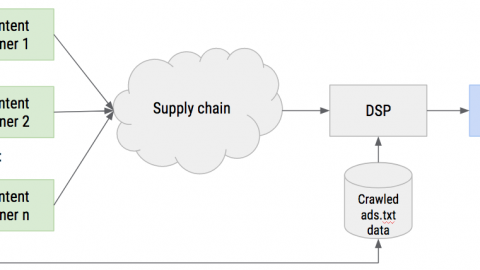 This specification relies on the presence of a developer website URL within the app’s store listing metadata in all app stores distributing the app. Many app stores currently collect the developer’s website URL to display as developer contact information within the store. Publishing a website and providing its URL is required for the app’s ad inventory to participate in the authorized seller scheme.